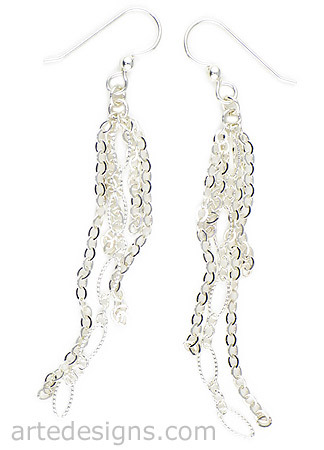 These fun sterling silver earrings are long, wispy, and lightweight. So versatile, you can dress them up or down. Approximately 3 inches long. Sterling silver wires.